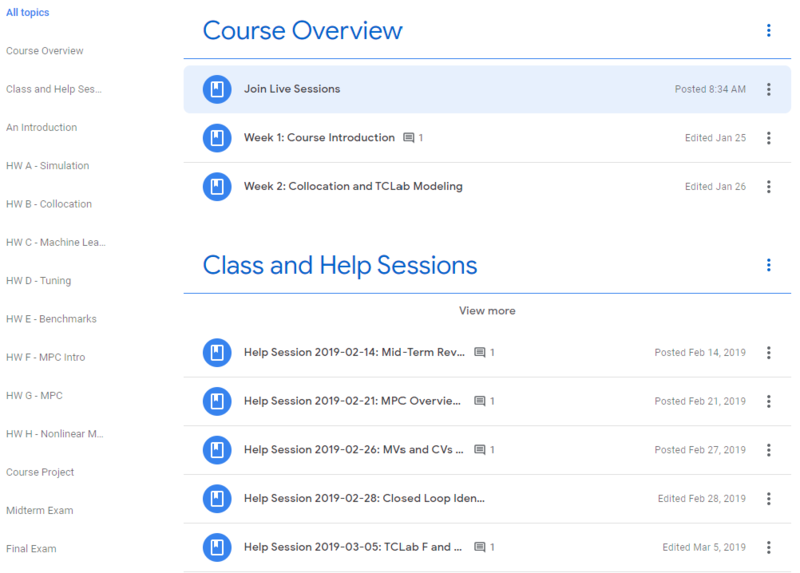 Zoom is used to host the online course sessions. The sessions are active Jan 8, 2018 through April 11, 2018 on Tuesday and Thursday, 10-11 AM Mountain time (12-1 PM Eastern time). 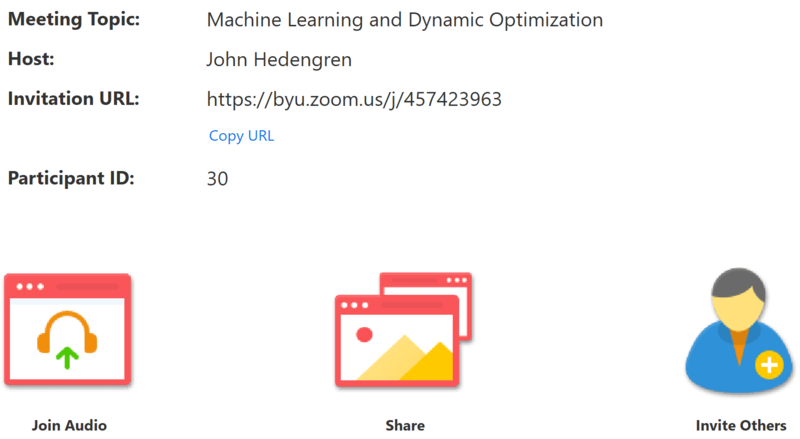 Recordings of the sessions are posted to Google Classroom. To access the recordings, login with your user name (first.last@irsri.org) that you received when you registered for the course. The course is also held at BYU but these sessions are not live broadcast. There are many options to connect to the Zoom session from a cell phone, computer, video conference system, or audio only. Select the link below to join the meeting from a computer on Tuesday or Thursday at 12 PM Eastern Time. Most Internet browsers (Firefox, Chrome, Microsoft Edge, and others) are compatible with Zoom. When you join the Zoom meeting for the first time, it will request that you install a plug-in. 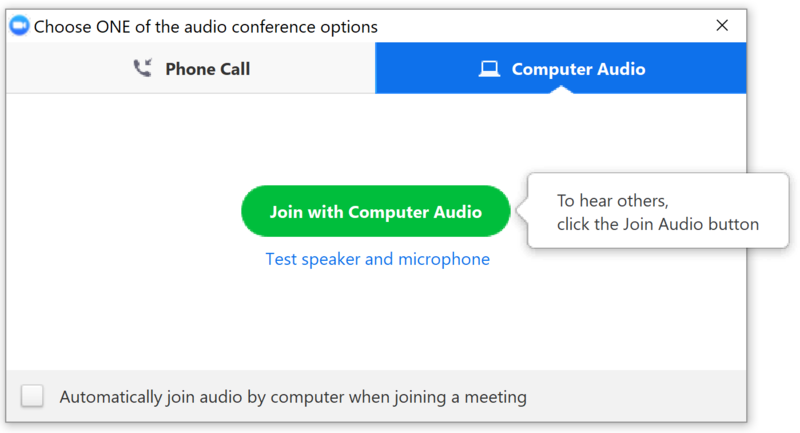 When you install the plug-in, you'll be able to join the meeting with audio from your computer or through a dial-in number. Your microphone will be muted by default when you join. You also have the option of sharing your video camera feed but that is off by default. Sometimes the instructor will screen share and other times a student will share their screen to receive help. The presenter must select which screen to share with others. You can join the meeting audio from a telephone (US number) or with your computer speakers. When you have connected to the Zoom session, you will be in the meeting space with many other participants. It is very important to keep your microphone muted when there are many participants. You are muted by default when you join the meeting. If your microphone is muted, you can select the unmute option to speak to the meeting participants. 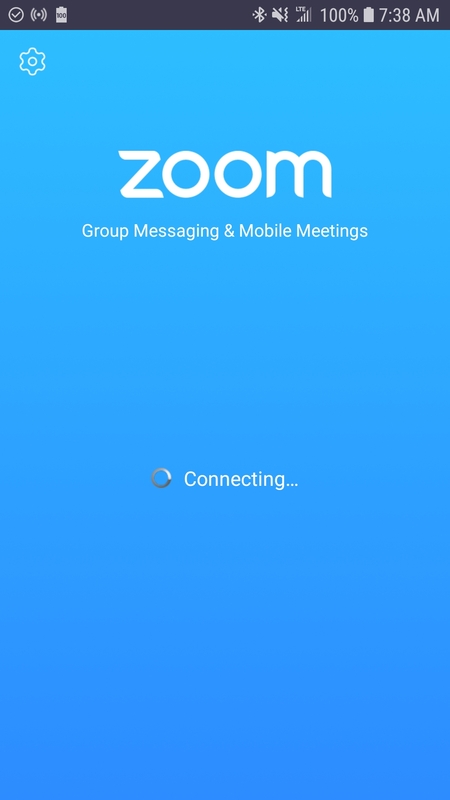 To join the meeting from a smart phone such as an iPhone or Android, download the Zoom app. Zoom App in the Apple App Store. Once the app is open, enter the meeting number to join the session. There are chat capabilities within the Zoom app. 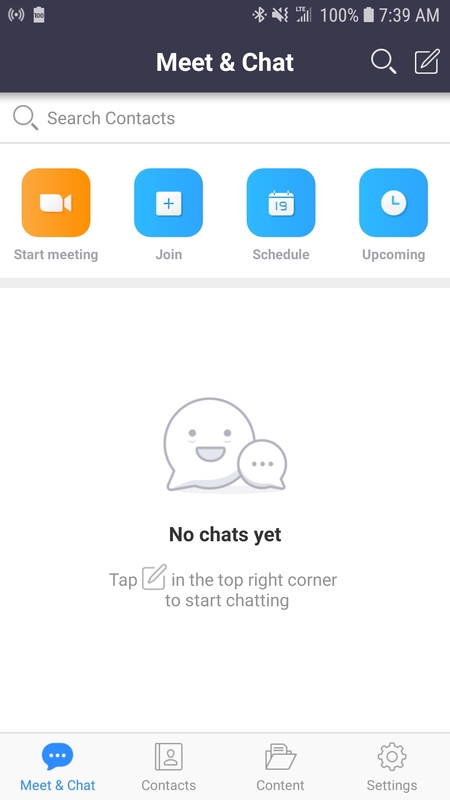 You can direct a chat message to an individual or else direct the message to everyone in the meeting. The chat window is a good way to make a comment or ask a question, especially if your microphone is not working. Zoom allows the meeting to be recorded. An MP4 video file or YouTube link of the class sessions will be available in the Google Classroom.